Heidi Harris Show Podcast #37 - Patriots No Longer Welcome in Country Music? http://heidiharris.com/wp-content/uploads/2018/01/podcast-2.jpg 3000 3000 Heidi Harris Heidi Harris2018-03-07 07:34:132018-03-07 07:34:13Heidi Harris Show Podcast #37 - Patriots No Longer Welcome in Country Music? 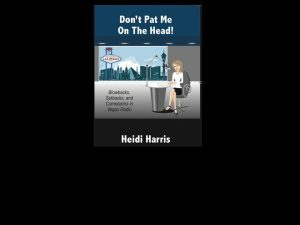 Heidi Harris Show Podcast #36 - What used to be called "banter" among casino employees is now "actionable"
http://heidiharris.com/wp-content/uploads/2018/01/podcast-2.jpg 3000 3000 Heidi Harris Heidi Harris2018-03-05 05:11:282018-03-05 05:11:28Heidi Harris Show Podcast #36 - What used to be called "banter" among casino employees is now "actionable"
Heidi Harris Show Podcast #30 - Gutless Christians Need to Stand Up! http://heidiharris.com/wp-content/uploads/2018/01/podcast-2.jpg 3000 3000 Heidi Harris Heidi Harris2018-02-19 06:00:082018-02-18 21:21:42Heidi Harris Show Podcast #30 - Gutless Christians Need to Stand Up!